In May, the Centers for Disease Control and Prevention reported that people getting sick from illnesses related to infected fleas, ticks and mosquitoes, like Lyme disease, Zika and plague, more than tripled in the last year. 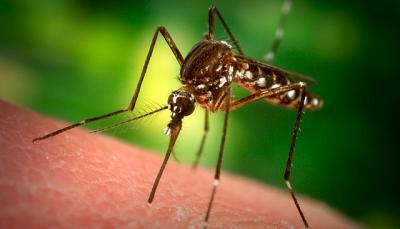 They attributed the increase to nine newly-discovered germs spread by mosquitoes and ticks. Is this nationwide increase happening in Georgia too, and if so, how should you protect yourself? Kelly points out that the major nationwide increase from 2015 to 2016 occurred with the introduction of the Zika virus in the Western hemisphere. In fact, in 2016, there were 113 travel-related cases of Zika reported in Georgia. In 2017, however, this number decreased to 11. In contrast, West Nile Virus was more active in Georgia in 2017 with 48 cases reported. Prevent bug bites when traveling.